This lens features a unique two-phase polymerisation process which results in a lens with exceptionally high oxygen transmissibility, low modulus and high water content. 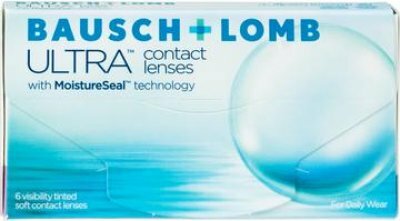 Bausch + Lomb ULTRA hence provides excellent material properties, designed with comfort in mind and also featuring aspheric optics providing low spherical aberration. Wear/Replacement: Daily or Extended Wear for up to 7 days between removals for cleaning and disinfection or disposal of the lens.